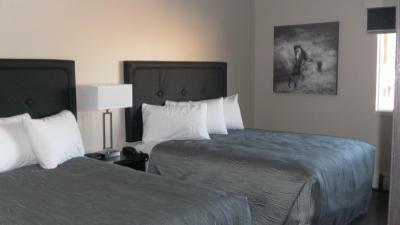 Lock in a great price for Stampeder Inn - rated 9.2 by recent guests. Clean rooms and premises. Owner/operators are amiable and approachable. I loved the couple running running it. They treat the customers like you were coming into their home. Great vibe the rooms are gorgeous lots of toiletries and the beds and pillows are like staying at a high end Hilton or Marriott. Awesome!!! The breakfast was simply excellent. 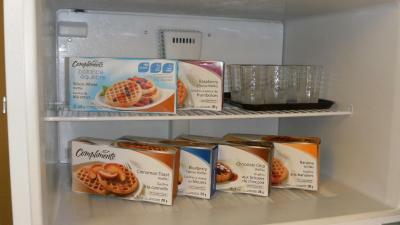 Huge selection of cereals, toast, waffles, fruit, omelette, sausage, potatoes. The 24/7 food was great. The people were very helpful and rooms were clean. people at desk were helpful, cheerful and friendly (yet not over the top). Breakfast was a nice surprise! 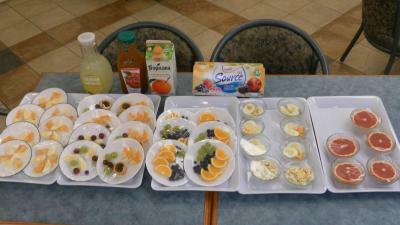 Look in the guest fridge...cooked eggs, fruit, yogurt, waffles, and a few other items. As well as the usual toast, bagels and cereals. Hotel was clean which is very important to me. Room had coffee and kettle for hot water and tea, which we appreciated. Absolutely the best. Martin and his wife are spectacular! The smoking rooms (pet friendly) don't even smell like smoke. The 24 hour breakfast bar is above and beyond expectations. You'd be silly to stay elsewhere. 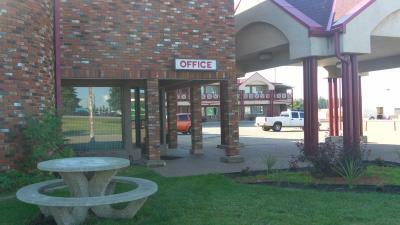 Situated 2.5 miles from Queen Elizabeth II Highway, this Ponoka motel provides breakfast and free Wi-Fi. A refrigerator is offered in each guest room. Ponoka Stampede and Exhibition grounds are 1.2 miles away. 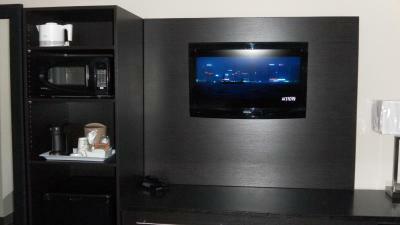 A flat-screen cable TV is included in all rooms at Stampeder Inn. 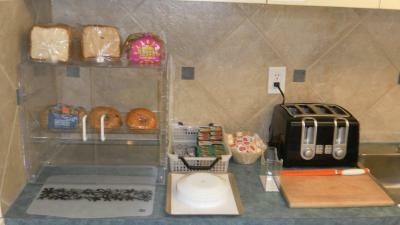 A microwave and a coffee maker offer added convenience. A work desk is provided. 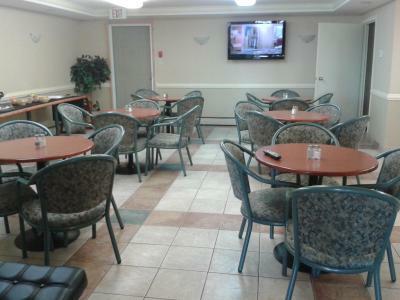 A shared lounge is open to guests of Stampeder Inn – Ponoka. Fax and photocopying facilities are offered. 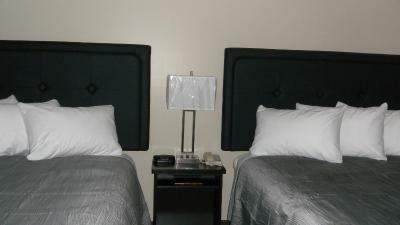 Accessible and non-smoking rooms are available at this air-conditioned motel. Lacombe is located 25 minutes’ drive away. Ponoka Golf Club is 1.9 miles from Stampeder Inn. 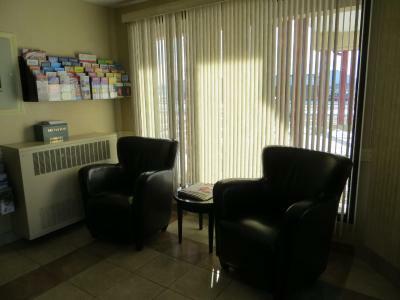 This property also has one of the best-rated locations in Ponoka! Guests are happier about it compared to other properties in the area. 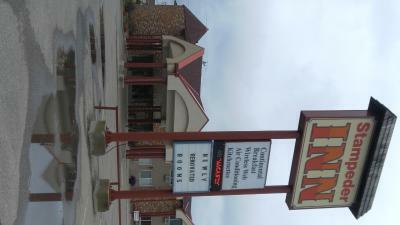 This property is also rated for the best value in Ponoka! Guests are getting more for their money when compared to other properties in this city. Stampeder Inn has been welcoming Booking.com guests since 29 Aug 2013. When would you like to stay at Stampeder Inn? 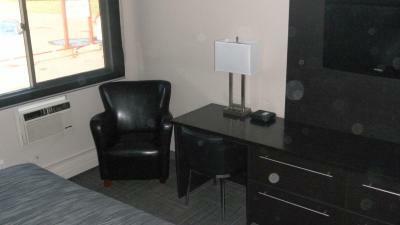 Free Wi-Fi and a flat-screen cable TV are provided. A fridge, microwave, coffee maker and work desk are included. Please note, smoking and pet-friendly rooms are limited and only available by special request. This quadruple room features a microwave, electric kettle and air conditioning. House rules Stampeder Inn takes special requests - add in the next step! Stampeder Inn accepts these cards and reserves the right to temporarily hold an amount prior to arrival. The Managers were very engaged with us when we arrived. They even switched us rooms so we could have a very quiet room. The single negative of our stay was the fan on the room next door woke us up this morning. It was VERY loud and needs to be replaced. Everything else was excellent. The couple managing must work very hard to maintain the level of cleanliness and their pride in their facility shows. Too noisy in middle of the night from room next door. Really no negatives. As a solo senior traveller, in addition to the already present safety bath mats, I would love to see safety rails in the bathroom. Friendly service. 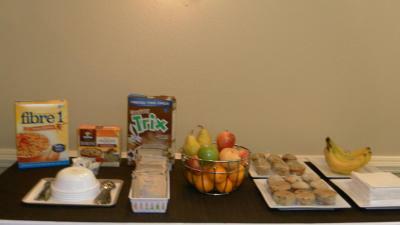 Good selection for breakfast. 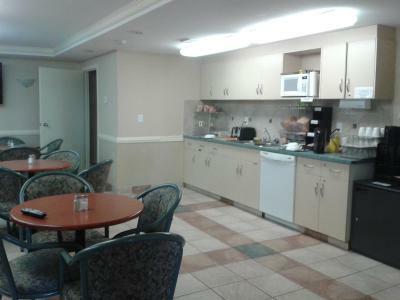 Breakfast area and breakfast available 24 hours. 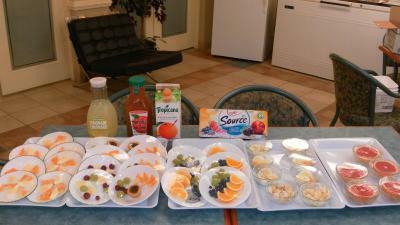 The 24 hour breakfast was a great touch!